Or, what do a piece of migraine artwork, the first test-tube baby, E.T. and the Sistine Chapel all have in common? When I get the chance, I have recently been spending some time in the offices of Migraine Action, a wonderful UK advice and support charity for people affected by migraine (you can listen and donate to their recent BBC Radio 4 Appeal here). The reason for my visits is that the charity also has a collection of art, submitted to four competitions held between 1981 and 1987. 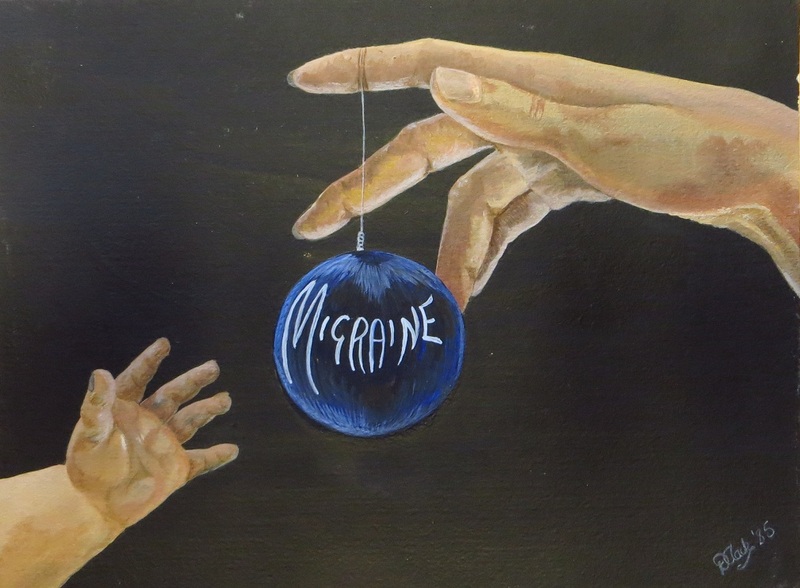 The competitions invited migraine sufferers to draw either their impressions of visual disturbance or to illustrate the effect migraine had on their lives. The resulting archive consists of over 500 pieces. These range from children’s sketches on notepaper to detailed and intricate works in oil, collage and airbrush. As a collection, the archive is a powerful and at times deeply uncomfortable witness to the intense pain and disruption that people with migraine experience. Some of the most beautiful pictures depict migraine aura, and the collection has provided clinical researchers with important evidence about this otherwise entirely subjective neurological phenomenon. A selection of the artworks can be viewed online here, and the collection as a whole is discussed in this book by Klaus Podoll and Derek Robinson. ‘Migraine’. Reproduced with kind permission of Migraine Action. Image Ref: 313.